bring them to life, regardless of the budget involved. April 5, 2013: Opening of Quorum Productions' new website. 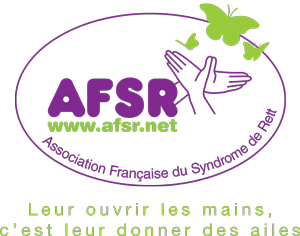 Based in Caluire (5 km from Lyon) in a 43,000 sq. ft. building, we are at the heart of many events in France and throughout the world. Specialized in the area of technical and logistic execution, we help you share your message during several types of events, including : meetings, seminars, conventions, incentive programs, road shows, fashion shows, performances and large scale or private events. For more than 15 years, we have been providing creative and technical advice (regarding regulations and by providing safety cases) to major communications agencies and accounts in the industry and services sector. We have been assisting them with scenic design, digital imaging and setting creation (using eco-friendly materials), while making them benefit from our equipment. A team of in-house employees and contractors, as well as a research and production unit, guide you through each step of your project. Scenography consists in organizing the scenic space with the help of technical and artistic tools. Choose a venue, a theme or a product - we suggest an atmosphere, an environment, an emotion. With safety and regulations in mind throughout the project, our research unit designs and arranges your chosen setting. To help you share the message of your company (notably via multi-camera production, large screen broadcasting, films, multi-site conferences, slide creation, set design with virtual backdrops or 3D logo animation), we assist you with the development of your visual communication. With the help of our equipment, we make sure your messages are perfectly broadcast during events. We enhance the venue of your event by creating and programming lighting effects. Around the world, we assist you in the organization and execution of your events. Regardless of your initial budget, our team can advise you on the most innovative and efficient solution. Jumeirah Lakes Towers . Dubaï . E.A.U. Quorum Productions is constantly looking for new talents ! 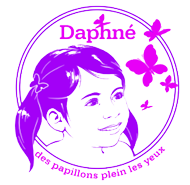 "des papillons plein les yeux"
in her fight against the Rett syndrome, with Association Française du Syndrome de Rett (AFSR). Usage policies apply - © 1999-2013 Quorum Productions.